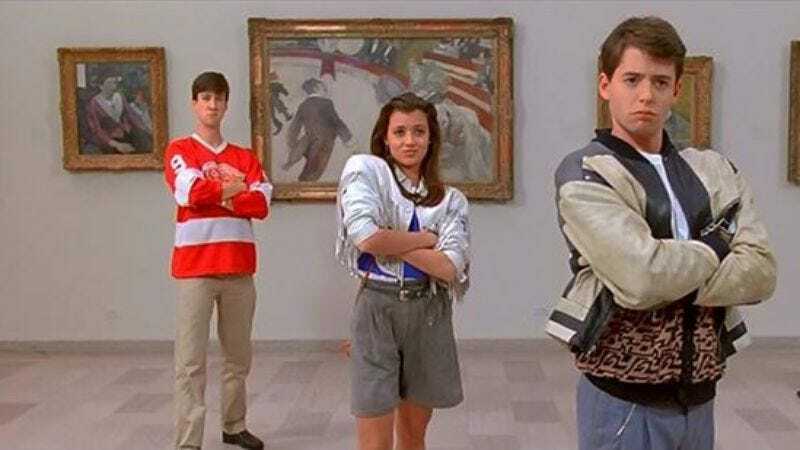 Although people are always trying to play fast and loose with Back To The Future’s time-warping anniversary, there’s concrete proof that Ferris Bueller’s actual day off in Chicago (as depicted in John Hughes’ 1986 film) happened 30 years ago today: June 5, 1985. By process of elimination, the super-sleuths over at Baseball Prospectus used the players and uniform numbers seen in the movie’s Wrigley Field game to zero in on a Braves-Cubs game that took place on this very date. (The site even reconciled filming questions by citing an email from the second assistant director on the film, who cleared up any discrepancies and solidified the June hypothesis.) In honor of this momentous day, perhaps making dinner reservations tonight under the name Abe Froman (“The Sausage King of Chicago?”) is in order.